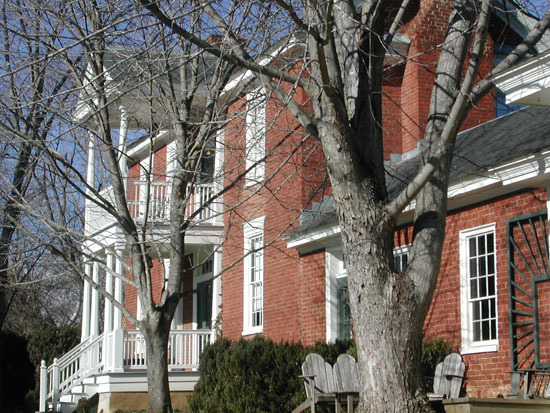 Comments: The following history of Riverview was researched and written in 2006 by Tim Small, who has owned Riverview since 1986: Many hours have been spent in the Albemarle County Clerk's offices and various libraries to determine the true history of the Riverview house and the succession of its owners. This research revealed that the property was part of a land patent to John Driver in the 1740s. Next it went to Arthur Hopkins, then to Edmond Price in 1766, and Isham Davis in 1770. The original 99 acre parcel was divided into four approximately equal parcels in 1785 with John Coles receiving the portion containing most of the current Riverview property. The remainder of Coles land extended down to the James River. John Coles willed the land to his four sons, who sold some 15 acres on the high land above the river to Littleberry Moon in 1816 for $200. The lack of reference to any structures in the deed of sale, the fact that the east property line ran directly through the current location of Riverview, and the relatively low price indicate the present house had not yet been built. Littleberry apparently purchased some adjoining land to the east (although no deed reference has been found) and began building the Riverview house soon after. The current property, with an area of approximately 24 acres, is the result of various purchases and sales through the years. 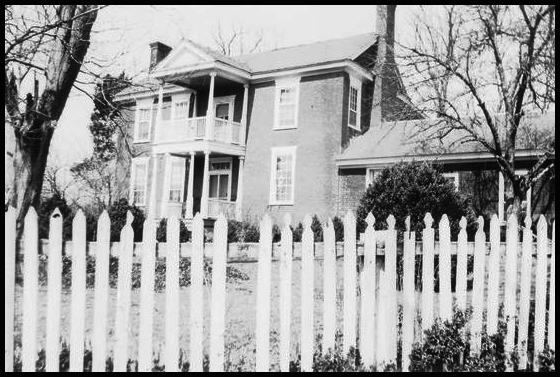 The first reference to the house was in 1820 in an adjoining plat reference to "Berry Moon's house." There is also a reference by a painter/glazer in 1820, who referred to his prior work for Littleberry Moon in a proposal to Thomas Jefferson to perform similar work at the new university in Charlottesville (University of Virginia). Littleberry Moon married Sally Perkins. By the time they purchased the land for their home, they had two daughters: Martha and Maria. Littleberry died a young man of 46 years in 1827, leaving a widow and four daughters. The youngest daughters, Mildred and Mary, were most likely born in the house. Sally died in 1837, and the house with 17+ acres was purchased by the husbands of their two older daughters. It then moved out of the family to Sarah Harris in 1842, and then through a succession of owners. 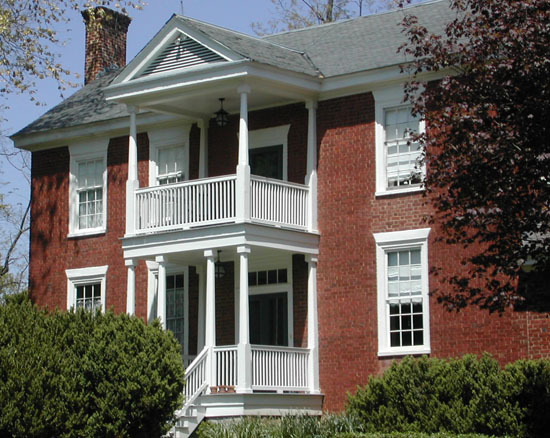 The Riverview house was originally a two-over-two configuration with a room added to what was then the rear of the house. Littleberry likely used it as an office for his businesses associated with the river trade. The original two lower and two upper rooms are separated by a central hallway containing the split-flight stairs and intermediate landing. The Moon's likely used the upper rooms as bedrooms and the lower ones for dining and a parlor. The home's main entrance was on the river side and was accessed by a steep carriage path. The path extended straight down the hill from the house toward the James River and then curved to the right to connect to the town of Scottsville. The old kitchen at that time was about 50 feet from the main house (a common means to isolate the main house from kitchen fires). No doubt some of the Moon's four slaves cooked in that kitchen, and some slaves may have lived in the loft overhead. A dug well, over 70 feet deep, is located under a modern potting shed, to the west of the house. A dining room and the room where the current kitchen is located were added soon after the Civil War (judging by dates on bottles found underneath the added rooms). Benjamin Darneille owned the house during that period. Around the turn of the 20th century, a second floor wood-frame addition was added over the "office" referenced above. This added a third bedroom and a bathroom with indoor plumbing. First references to the name "Riverview" also appeared around the turn of the century. Many stories have been told by long-time residents of Scottsville about their experiences with the house and those living in it. It is still known as the Briggs house by some old-timers. They recount past weddings and funerals in the parlor, sleeping in the rear bedroom, a gazebo-type well house over the dug well, a latticed back porch, and outbuildings. The top photo is part of the Historical Inventory Report by R.E. Hannum for the Works Progress Administration of Virginia; Record No. VHIR/02/0364 applies at the Library of Virginia, Richmond, Virginia. The lower three color photos of Riverview are from the Tim Small Collection at Scottsville Museum, Scottsville, VA.